You have just discovered a list with the best of the best freestyle windsurfing videos. If you are like us and you love watching stunning sports videos, then we are pretty sure you won’t hesitate to bookmark these pieces of mastery. Not only do these windsurfing vids feature the greatest windsurfing superstars, but they also reveal several spectacular freestyle windsurfing spots and mind-blowing freestyle moves. Get ready for inspiration! Amazing what you can do with the wind! Great music, perfect wind and true talent Everon ‘Tonky’ Frans. Check out his freestyle windsurfing moves. DSP | Everon ‘Tonky’ Frans from DSPROMOTIONS.NL on Vimeo. Over The Sea- Steven Van Broeckhoven from Andraž Žan on Vimeo. Enjoy. from Bastien Rama on Vimeo. 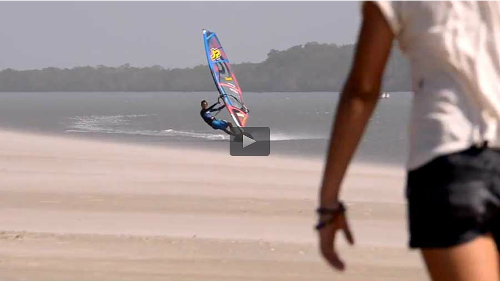 Do you know any other windsurfing videos? Share what you like! P.S. Have you already started packing your board bags, sails and wetsuits to check out those windsurfing spots yourself? We are tempted! Posted in Windsurfing and tagged Brazil, burner, Cape Verde, double loop, Everon ‘Tonky’ Frans, flaka, forward loop, freestyle, funnel, Gollito Estredo, Hugo de Sousa, Jeremy Plüss, Julien Mas, Loick Spicher, Max Matissek, ponch, shaka, skippy, South Africa, Spain, spock, sports, Steven Van Broeckhoven, Venezuela, video, windsurfer, windsurfing, windsurfing locations, windsurfing pros, windsurfing spots.